The general complaint is that it’s somehow hyperbolic, given the privileged position of the modern West in the scope of human history. From here, things typically descend into detailed historical debates about the realities of America vs. the Middle East vs. the Roman Empire vs. Babylonian rule, and so on. But as Russell Moore now helpfully points out, such a critique assumes a false definition of “exile” that most simply misses the point. The Scriptures call on all Christians everywhere to be “strangers and exiles” in whatever culture we inhabit. This doesn’t mean a lack of engagement. Exile didn’t mean that for Old Testament Israel (see Joseph in Egypt or Daniel in Babylon, for parts of their sojourns there). And it certainly doesn’t mean that for the church. Right after speaking of the church as exiles, Peter instructs the church on how to act among the Gentiles, how to respond to human institutions, including political institutions (1 Pet. 2:12-17). The kind of exiles we are to be is not a bitter, resentful people, harkening back to better days, when we had more power and influence. We are to be instead those who know that the culture around us, whatever culture that is, is temporary. We are to pattern our lives not after nostalgia for the past but hope for the future. This means a discontent. We pray for the kingdom to come (Matt. 6:10). We groan with the creation around us for the end of the wreckage of the curse (Rom. 8:23). The political and cultural climate of America does not make us exiles. It can, however, remind us that we are exiles and strangers, just as our ancestors were. American Christians can wake up from the hypnosis of an illusory “Christian America,” and learn to seek first the kingdom of God. We can stop counting on the culture to do pre-evangelism and moral catechesis. 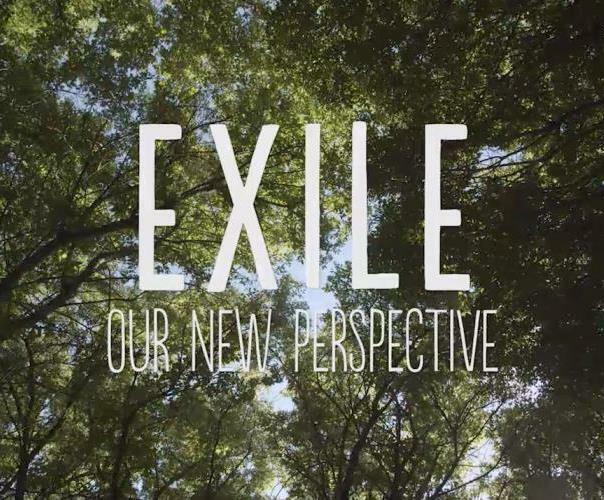 Being in “exile” means that God’s people live somewhere other than their true home. For example, God’s people were in “exile” when they were banished from the Garden, lived as slaves in Egypt, and were carted off to Babylon. Similarly, after the resurrection of Christ, God’s people were scattered throughout the world to live as “sojourners and exiles” (1 Pet. 2:11). So, too, for Christians today. Everything, of course, hinges on what it means “to belong” to culture and community. At minimum, belonging means living faithfully in all the spaces to which God calls us and avoiding a posture of hiding, fighting, or assimilating into a world that is not our home. For more, check out the FLOW series itself, and Moore’s forthcoming book, Onward: Engaging the Culture Without Losing the Gospel, which looks rather promising.